The state police have helped to a small or large degree in the solution of dozens of murder cases. The central figure in one of these, Dupree Poe, was the murderer of a night watchman in Silverton in the early 1930s. Poe succeeded in slipping outside the penitentiary a few weeks ago but his freedom lasted only a few steps until a guard recognized him. He was trying to slip out among the crowd at visitors day. But not all the investigations involve murders, or rapes, or ballot box thefts. Sometimes there is a cattle rustling case. There was even a lady cattle rustler once who caused the state police considerable trouble. 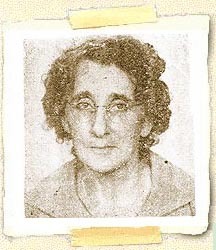 This was Mrs. Myrtle A. Garner, who was 60 years old in 1939 when she went to the Oregon state penitentiary to serve four years for "larceny of livestock" committed in Curry county. But on June 7, 1941, she wont release on a writ of habeas corpus and when the United States supreme court overruled the proceeding and quashed the writ, nobody knew where Mrs. Garner was to be found. "As she was released without bond, it appears to be up to us to look for her and if possible return her to the penitentiary," Warden George Alexander wrote to Superintendent Charles P. Pray. "I do not know where she is and I am not worrying about her just as long as she stays out of Curry county." The state police soon found out that a succession of lawyers, bail bondsmen and businessmen also would like to find Mrs. Garner. She was finally run to earth in Oakland, Cal., in January, 1944 and sent back to prison to finish her term as the outstanding lady cattle rustler in state police history. MOTHERLY-LOOKING, 60-year-old Myrtle Garner gave state policy plenty of headache with her latter-day cattle rustling. Photo courtesy of Myrtle Point Herald. September 2, 1951.